Dundee has been named by Bloomberg alongside Los Angeles, Florence and Jordan as one of the top holiday destinations for travellers this year. The city has made Bloomberg’s list of 22 “especially compelling” destinations that will be “especially hot” this year. 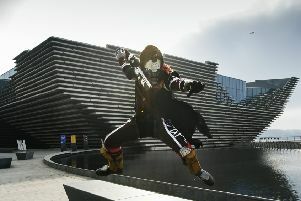 One of the signature events of the Year of Young People will be the opening of Dundee's V&A Museum. The guide states: “Few international travellers have heard of this port town 60 miles north of Edinburgh. The guide recommends that visitors visit Dundee in May and to avoid the city between November and February when the city experiences “notoriously rainy weather” and “painfully short” days. As well as cities to explore, Bloomberg recommends travellers get a glimpse of Cambodia, Borneo and Chilean Patagonia this year.